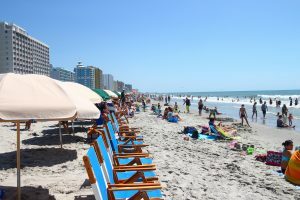 Myrtle Beach is a popular vacation destination for a plethora of reasons. These reasons include attractions like Broadway at the Beach, Ripley Aquarium, and Brookgreen Gardens. However, people wouldn’t travel hundreds of miles to get to Myrtle Beach if there was no beach. That being the case, it would be wise to stay at a hotel near the beach. The two Myrtle Beach hotels covered below aren’t only near the beach, but they are highly underrated. We will explain why. The Sea Crest Oceanfront Resort on South Beach has a ho-hum reputation. If you were to read a review for this hotel five years ago, it would mention an unkempt environment, a lingering stench, a poor breakfast selection with dull food, and terrible management. But a lot can happen in five years. This hotel doesn’t only have new management, but it has also undergone a $6 million renovation. Everything has improved. In addition to the complaints above being reversed, this underrated Myrtle Beach hotel offers free WiFi, free parking, a health club, a pool, a lazy river, a bar with karaoke, great service, and overall cleanliness. The Breakers Resort Hotel is underrated for a much different reason. Due to a common hotel name that usually implies mediocrity, as well as an affordable price, people who have never stayed here usually get the wrong idea. Without doing their research, people will fail to realize that this hotel has 4 pools, 4 restaurants, and 2 bars – hardly what you would call an average hotel. In addition to those impressive stats, the Breakers Resort Hotel offers a sauna, laundry facilities, a superb breakfast, and one of the best restaurants in Myrtle Beach – the Red Parrot Bar & Grill. This hotel is located on the beach. You can walk to all attractions and kids 16 and under stay free. The most frequent reason for underrated hotels in any city is lack of research by potential travelers. However, the blame doesn’t fall solely on potential travelers. Another key reason is poor advertising on the hotel’s part, especially after a renovation. 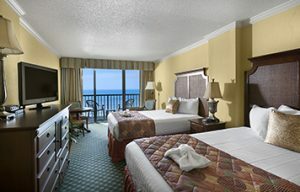 Regardless of who’s to blame, the two Myrtle Beach hotels listed above offer tremendous value.